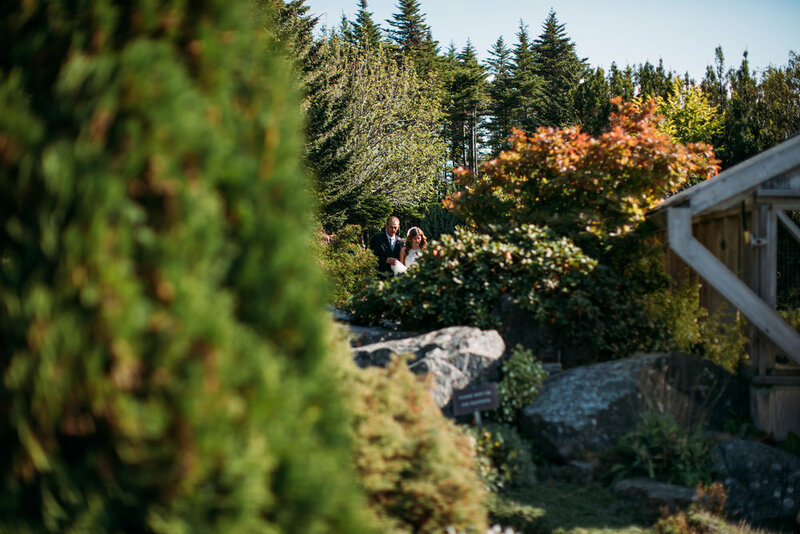 Last summer I had the pleasure of photographing so many beautiful weddings, and this one was no exception! Not all of my couples choose to have engagement photos done, so the very first time I met Samantha and Michael was on the day of their wedding. 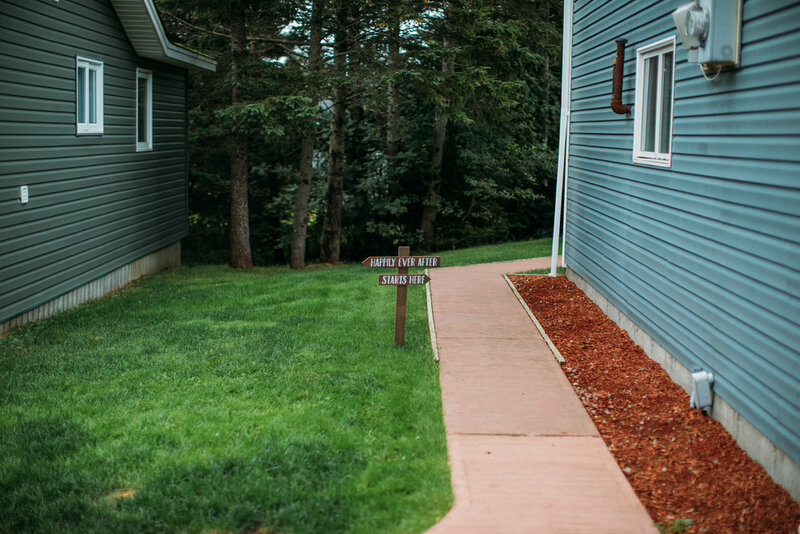 I started out the day by visiting Michael and his family at the home he grew up in in Portugal Cove – St. Philips. We took a few snaps before I headed in to see the ladies. 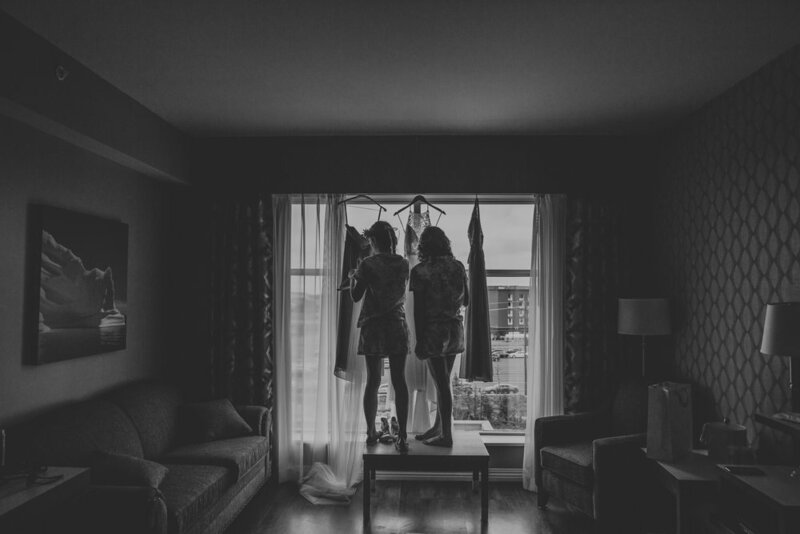 Samantha got ready with her sisters at the new Best Western near the airport. It was the perfect space to have some fun. The girls wanted to get a couple snaps of jumping on the bed which is always a ton of fun. Samantha had such fun details including her pink converse and faux flowers from By Sharpe Design which were so beautiful to photograph. 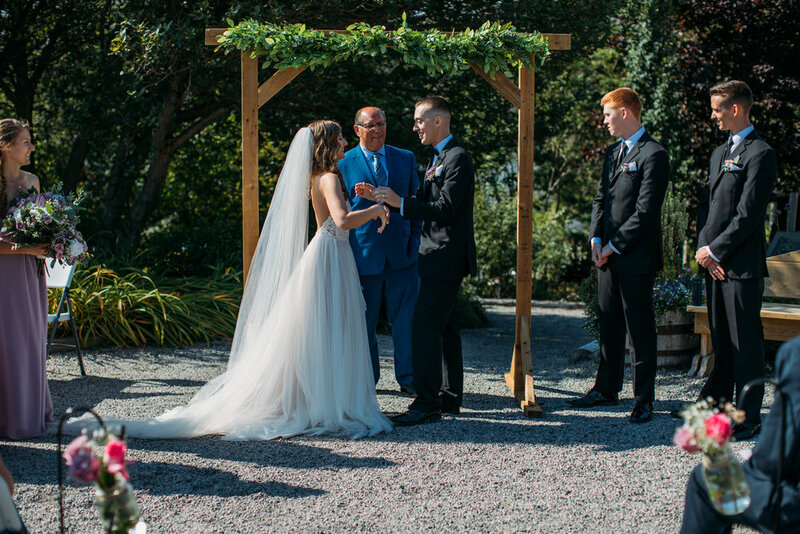 After the getting ready it was time for their ceremony. 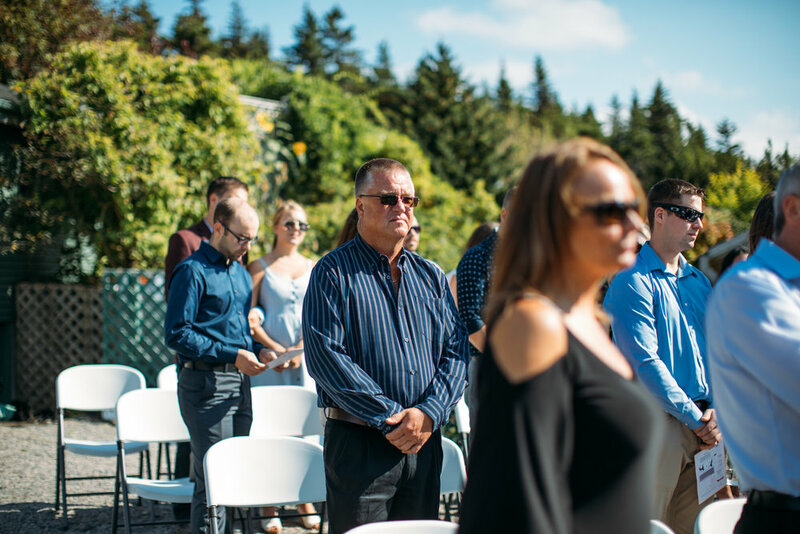 They had an outdoor wedding, which in Newfoundland is always a gamble. 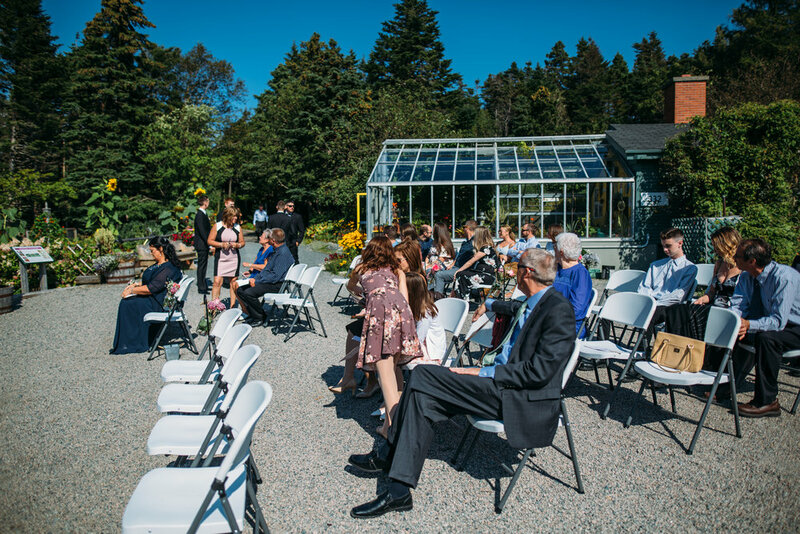 Luckily it was a beautiful sunny day for a wedding at the Mun Botanical Gardens. I have been to this spot many times but it was my first time photographing a wedding there. It was such a beautiful ceremony full of so much emotion. 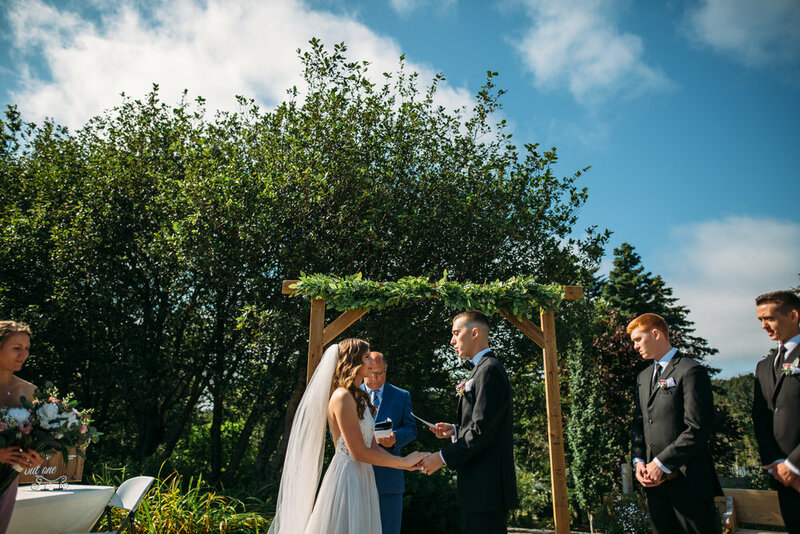 After the ceremony we headed to Portugal Cove to do some formal pictures of the couple. We went to one of my favorite spots, Beachy Cove Beach, which is a hike to get to. And these two had no issues getting down the hill in their wedding attire. From there we went to North Point for some beautiful views of Conception Bay. After pictures it was time to party. We headed back to Michael’s house where they had a room converted into a reception place. They did such a beautiful job with the details and I was in love with how it turned out.